Amazon Echo is a home device that mostly works with your Alexa devices for remote control, enhanced features and setup while Philips Hue is some kind of personal LED lighting system. Users of Alexa are able to turn on and off their various lighting system in the house using this system, whether it is in the living room, bedroom or kitchen. If you just make sure that the right system is in place then you will be able to switch off lights of specific rooms without hassles or tussles. This app is able to wake someone up more gently than an alarm clock. Alexa can also help you remember something for a weekend party in case you forgot; this can be done by just turning on the Alexa turn on party in the living room. Recently, the Amazon Alexa Skill was improved upon on its Philips Hue bulbs for its users. Alexa can now control the lights using this enhanced functions such the Amazon’s personal assistant to turn off and on lights as well as dim the lights by using these enhanced functions. This is done by just a voice command, and it may involve colors, light scenes or recipes. 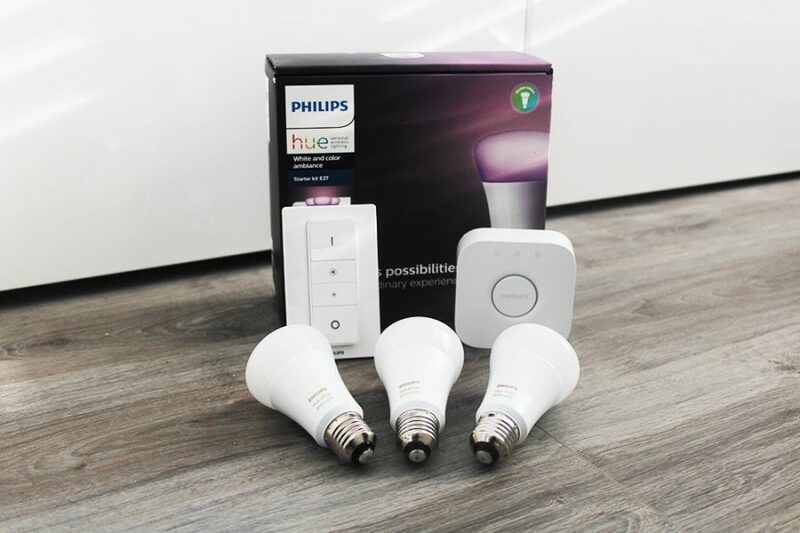 Using Amazon Alexa you can tell it to turn your lights on and off without lifting a finger, if you have an Alexa set up in your home then this is how to connect it to your Philips Hue lights system. This video below gives a quick overview of how to set it all up, with our step by step guide below. Follow these steps to connect your hue to Alexa. First off open the Amazon Alexa app on your phone or tablet device, if you don’t have it installed already you can down load it here – iTunes / Android. From here search for the Hue, when found select it and then press enable, you are then taken to a login screen where you can login to your Philips Hue online account. When logged in you can then search for devices to connect too, click discover to begin this search, it can take up to 20 seconds but once complete it will show all your bulbs. From here you can name them allowing you to then say things such as, ‘Alexa, turn on the kitchen light’. 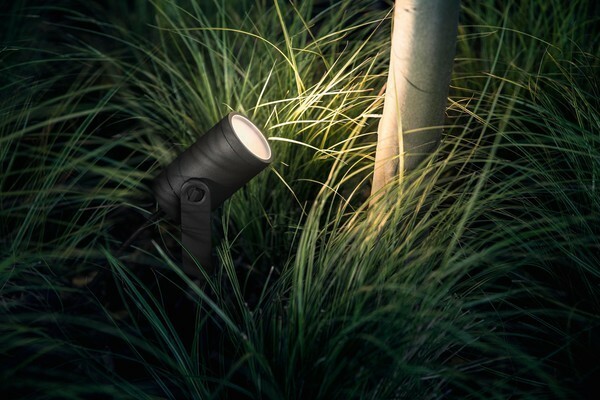 With this set up you can now turn lights or scenes on and off by just speaking to Alexa, however you cannot tell Alexa to change lights to a specific colour. 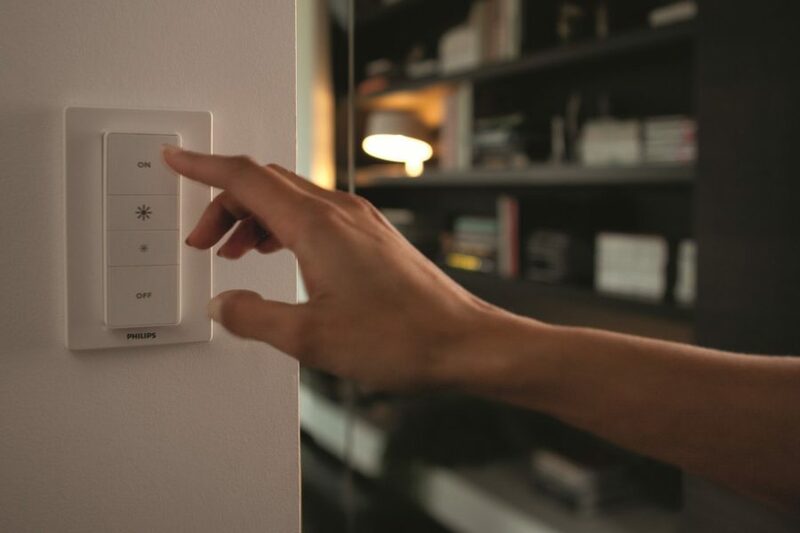 You can create various groups to control lights in different parts of your house like in the living room, kitchen, study room or bedroom. You can also dim or brighten your lights now using Alexa. How Alexa can turn on or off all the Hue lights? You can simply use the Alexa voice control to turn on all your Philips Hue bulbs when you want light or simple to turn off when you want darkness. You will also be able to dim your light at your own convenience. If you want to watch a movie you can dim at the comfort of your couch, or can set the right amount of light in case you want to read. You simply ask Alexa to ‘’dim the light in bedroom or living room’’. You will enjoy this at your own comfort as you only have to ask Alexa to do everything then the Hue lights will do the necessary. Alexa can also turn on the relaxing white light if you just ask it, just say Alexa turn on the relax light in the bedroom or living and it will exactly do that. You can now relax perfectly after a tiresome day without any hassles and tussles. Alexa can also wake you up very gently compared to other alarm devices. You and your family will be able to wake up more gently by just asking Alexa to turn on the wake up in the bedroom and this will make your lights to turn on gradually. If you want to make you living room dazzle with your favorite scenes and colors, then just ask Alexa to turn on the scenes that you prefer. 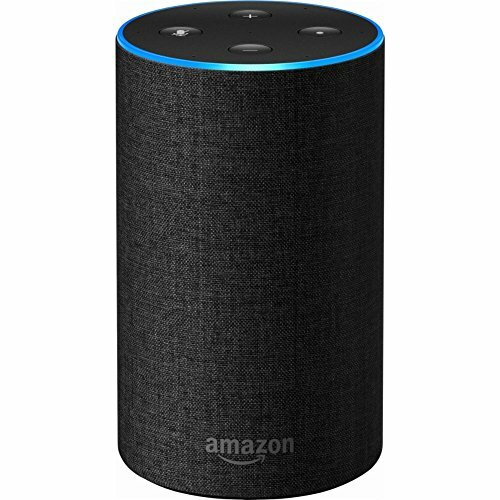 All you require to make sure that this sytem is working is an Amazon Echo, the Amazon Echo Tap or Amazon Echo Dot and a Philips Hue starter kit. 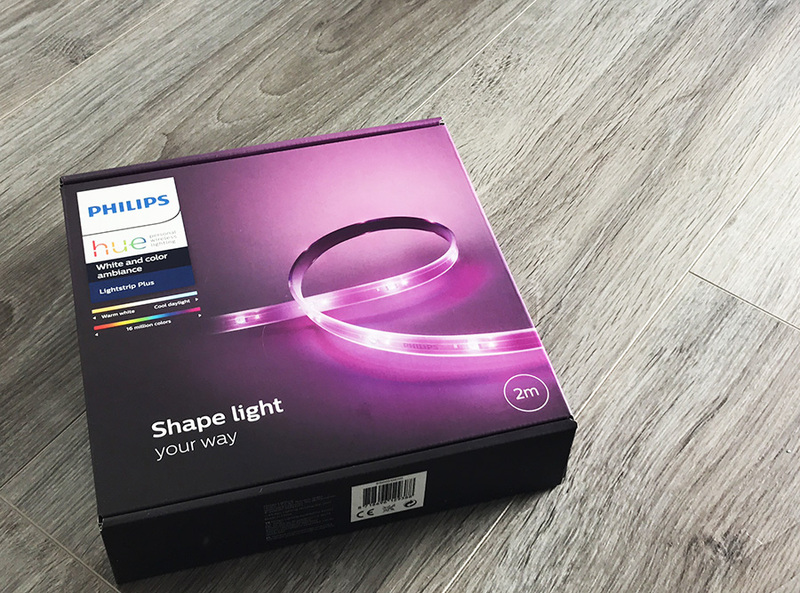 Your Philips starter kit includes a bridge and your light bulbs. 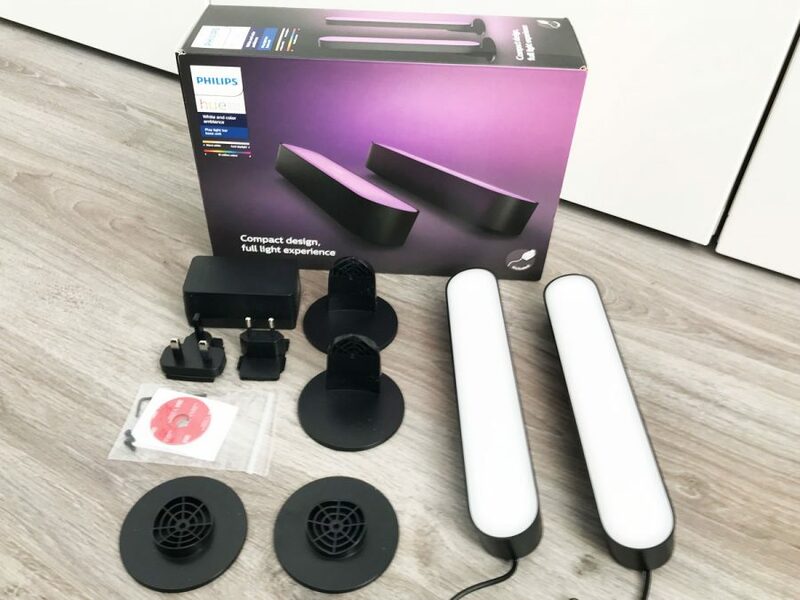 You just screw your Hue bulbs into you existing light sockets, then power up the bridge and connect it via the Alexa app. This Alexa app can still do some other great jobs for you apart from controlling your Hue lighting system such as emailing you what’s on your shopping list; it can also help you get your phone in case you have misplaced it by simply asking it to find your phone then the ringtone that you have set will ring. Every time the power goes out on the outlet the Hue hub is on, it no longer works with Amazon Alexa until I go through the entire set up process again. (it still works with a phone app, but that’s not what we want to use.) This thing is a complete pain, and it’s sad my son spent good money on the kit of 4 lights / hub as a gift for us. Wish I could return the whole thing and just buy four regular Philips LED bulbs. 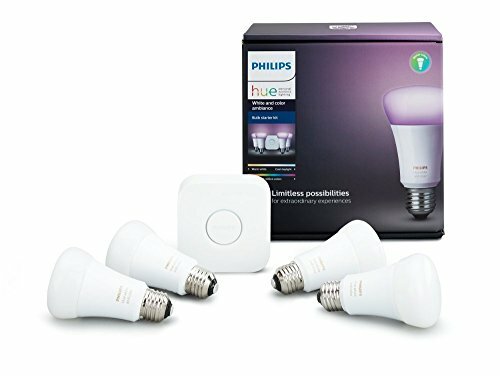 I have a LOT of hue bulbs and have been using them successfully for months. I came home this weekend and none of the bulbs will respond to my Echo Plus. I have never had a hue bridge. I’ve power cycled the bulbs and echo plus. I’ve deleted the bulbs and tried to add them back, which did not work at all. I’ve reset the Echo Plus. Any ideas? I have the exact same problem. Have the bulbs been updated to require a bridge so that we now have to make an additional purchase? I have a couple of bulbs and the Square hub. It works fine with Siri from my apple Products. But alexa can’t find them. Even if I try it from the alexa app on the Iphone that is already connected to the echo hub. I have enabled the skill, logged in on my hue account. Tried restarting everything. Disabled the skill and re-enabled it. Pressed the button on top of the hub. “No new devices found” everytime… Please help? It found my sonos-system immediatly… but not the hue. What am I doing wrong? Can’t get pass the login screen. Takes forever to load than tells me the Alexa App can’t be verified. I am so frustrated. I setup the Hue bridge and 2 white light bulbs and 2 color light bulbs. Everything work for about 2 weeks. Now the Hue bridge is connected after an hour of working with it but even the Hue app can’t control the lights. The Alexa app doesn’t see the hue bridge or the hue lights and, yes, the hue skill has been enable on Alexa. I am about ready to send everything back and request a return of my money. I don’t have 3 – 4 hours every two weeks to try and make these lights work.